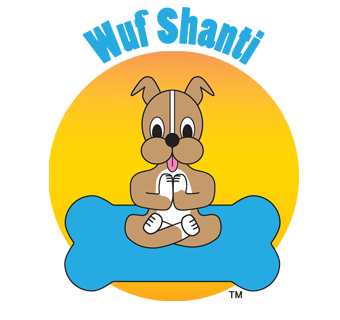 Wuf Shanti is an adorable dog yoga character that travels the world and shares with children how to live mindfully, think like a yogi, look on the bright side of life, be kind to others, and live in gratitude. To read about our mission, our journey, and Wuf Shanti’s 12 year-old creator, please click the blue “see full bio” link on the top right side of this page. 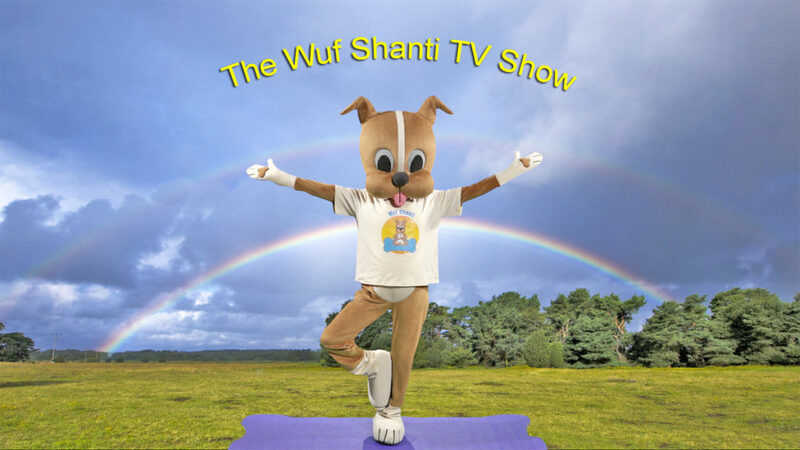 This Kickstarter campaign will help us to produce a Wuf Shanti pilot TV program. It will be 22 minutes to a half-hour long, complete with yoga lessons, mindful mantras, and wonderful music. Think like Barney or Elmo for yoga, and you will have the idea. 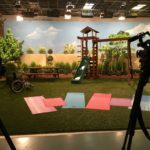 The goal is to get the program on the air at a station such as PBS or NickJr and in-house TV stations at children’s hospitals across the globe and expose as many children as possible in the hope that we can help make our communities and our planet better while making kids smile. If children learn early how to live mindfully and deal with problems in a productive manner, then we will hopefully attain a more peaceful world where kindness abounds, and have fewer incidents of grown-ups shooting up schools and movie theaters. Children need to learn when they are young that we are all one, love wins, and spreading kindness and positivityis the way to a future filled with love and light for all of us. They should also learn the influence and importance of positive thinking on health and success in life. Proper breathing, stretching, meditating, and even thinking well can help children stay healthy and happy. We have learned that producing a TV show requires a lot of hands on deck, a lot of money, a lot of patience, and a lot of support from our friends. We are asking for $58,000.00, which is actually very conservative, and we will do our best with things like using natural lighting while outdoors to the extent possible. With this money, we will need to hire script writers, producer and production team, directors, camera men and videographers, editors, musicians, actors, yoga instructors, as well as the find the warehouse, soundstage, and all the equipment, an agent, and publicist to help shop it around and get the word out. Because we know that projects like this may run over, we have a STRETCH GOAL as well, which is $80,000.00. This project doesn’t require any pre-approval or premarket review; however, like any project, there is a risk, and that is that it may end up costing more to complete and/or TV stations may not want to put it on the air. We hope that is not the case, and we do not think it will be, but we are prepared to tackle that if we have to by pounding the pavement, putting it on youtube, generating groundswell support, and never giving up because we wholeheartedly believe in this mission and the goodness Wuf Shanti achieve in this world. Join our “Yoga is Cool” campaign! 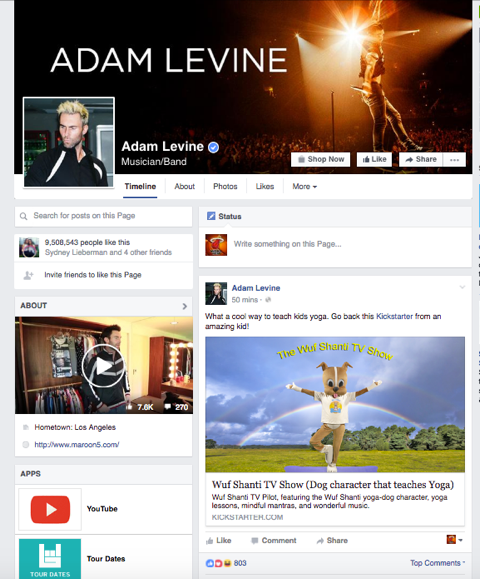 We are posting pictures of celebrities doing yoga to engage our youth. Join our “Yoga is For Boys too” campaign! We are posting pictures of male sports athletes doing yoga to engage our youth. There is a misconception that yoga is only for girls, but actually, there are many male role models who use yoga in their every day practice. In fact, Lebron James said that yoga is the key to his endurance. If we can teach kids when they are young to breathe, do yoga, think positively, be kind, give gratitude, and live mindfully, then they will have more productive ways of dealing with emotions as they grow-up. These tools will become second nature and our little yogis will hopefully be more empathetic, less anxious and depressed, and more content, happy peace-loving teenagers and adults. The goal is to help kids live mindfully, be kind to one another, and stop random shootings so they can be safe at school and we can send them to the movies knowing they will be okay. We are replacing fear with love. Wuf Shanti promotes health and wellness and happiness in children. Our target age is 5 to 9, although we have children as young as 1 year and as old as 15 who love to do yoga with Wuf. The trick is to teach the kids when they are young to Think Well to Be Well, Smile and the World Will Smile With You, and Smile and Say Thank You. With your help, we can make that happen by bringing Wuf Shanti into the homes of thousands of little children. You can help by donating, sharing and spreading the word, and getting your schools, hospitals, studios, organizations, and even corporations involved. We are all in this together. Friends-It has always been our dream to get into children hospitals across the country (and even other countries). At first, we thought to physically bring the mascot (which we can still do) but then we learned that each children’s hospital has its own tv station which is a closed circuit station for that hospital with their own programming. Think about how many kids that Wuf Shanti can help feel better and smile, even if just for a moment. Wuf Shanti loves to visit children’s hospitals and cheer up the kiddos. We sing, dance, do yoga, and for those that can’t walk or get up, we take pictures, maybe draw, and try to make them smile. It is hard–really hard to see those sweet little children not feeling well. And yet, when they smile, it is like you have accomplished the most amazing feat in your life and you feel as if you are on top of the world for a minute. And then, when you leave, it is hard again, because you remember why you were there in the first place. Many children’s hospitals have their own TV stations, which are closed circuit, in the hospital for the kids to watch. And we thought to ourselves, how nice would it be if we could get Wuf Shanti on those in-house stations. What an amazing honor that would be. We are currently diligently working towards this goal right now. It breaks our heart that there is even a reason to do this, but it fills our hearts with joy to be able to do this. Please help us make our dreams come true to get Wuf Shanti into homes and children’s hospitals everywhere by contributing and sharing. Thank you!! Wuf Shanti, Wuf Peace, Wuf Namaste`! We’ve had some fabulous endorsements. 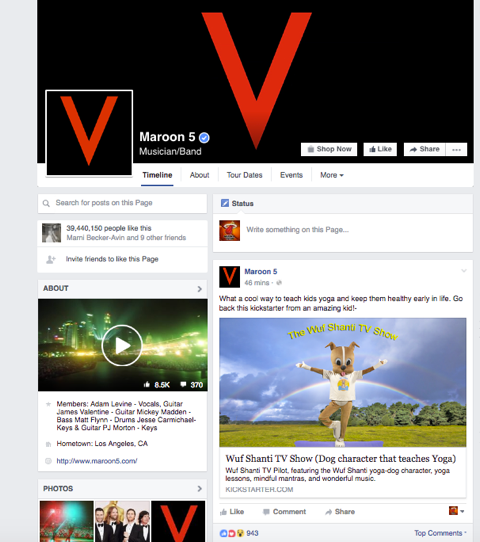 Kathryn Budig and Haris Lender made videos with some kind words about Wuf Shanti, and today Adam Levine and Maroon 5 posted about Wuf Shanti on their FB pages today! We can’t thank our fellow yogis enough for their support, for spreading the word, and for helping to make a 12 year-old kid’s dream become a reality. Yoga is cool. They are cool. Yoga Rocks. And they (literally) Rock! They are all heroes! 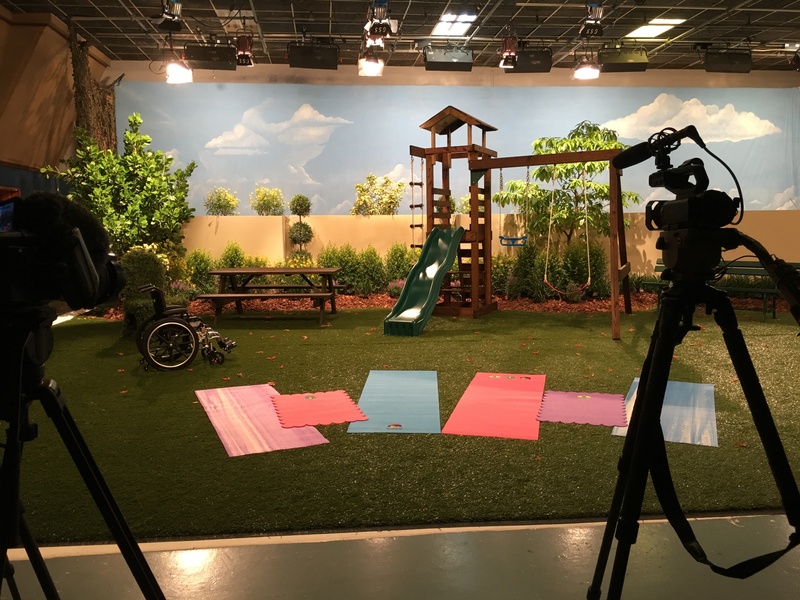 The OMazing Children’s Television Network, as sponsored by the Children’s Miracle Network, will be distributing our Wuf Shanti videos to all of their many children’s hospitals across the country. This is it folks, this is our dream coming true—to bring smiles to children and their loved ones, their adults too. Wuf Shanti is so honored to have been invited to help children take their minds off of illness and stress, and make those kids smile, even if just for a minute at a time. Our mission to spread peace, kindness, positive thinking and gratitude, through yoga, fun, and great music is happening in a big way. 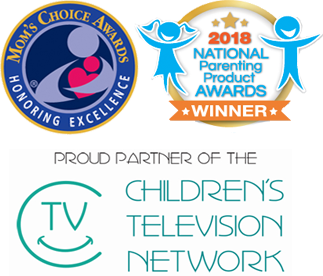 We are beyond blessed that the Children’s Television Network is going to help us bring smiles to so many children. Science has shown that thinking well, looking on the bright side, and feeling happy has a huge impact on health and healing. By eliminating negative self-talk and training ourselves to breathe and smile, we can reduce stress and help our bodies heal. Our mantras instill hope and a sense of being supported at all times, even when life offers challenges. “Think Well to Be Well” is one of Wuf Shanti’s mantras, and hopefully our lovable dog yogi will help these kids stay pawsitive, feel better, and heal. “Smile and the World Will Smile With You” is another mantra of Wuf Shanti’s, so by getting kids to smile and feel happiness, we are helping them to know that they are loved and giving them strength, courage, and hope. “Smile and Say Thank You” is Wuf Shanti’s 3rd main mantra, and with this, we teach gratitude, and living a mindful, holistic, and joyous life.